Mirrors don’t have to be plain. There is no law that states they have to be simple, dull objects like most people seem to think. I believe it’s time to start a revolution. 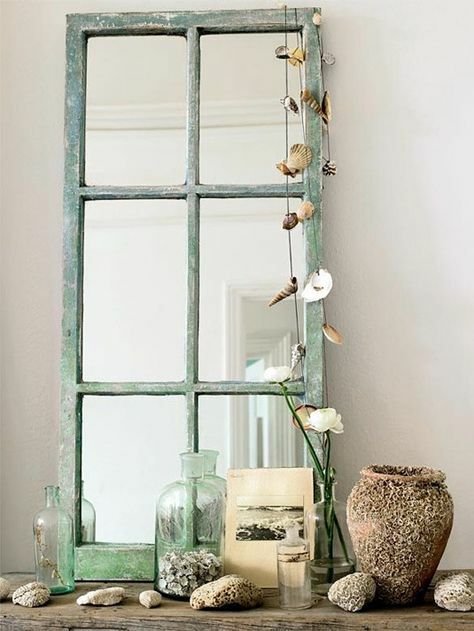 One where we don’t stand for boring old mirrors. I think it’s time you get out your creative hat and decorate your mirror. 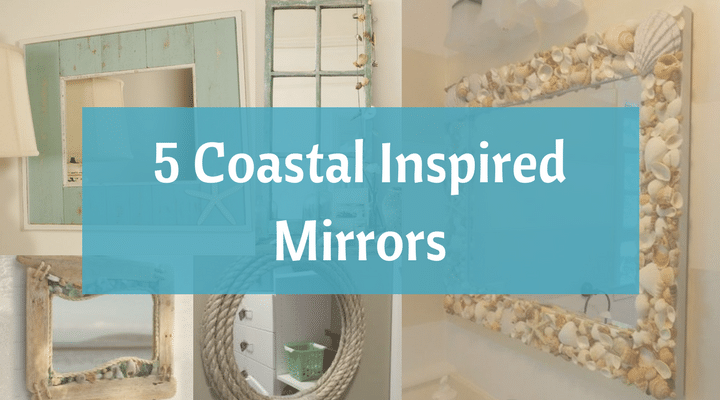 Below we have a few designs which I think are going to help you get some ideas for how you can give your mirror a coastal twist. 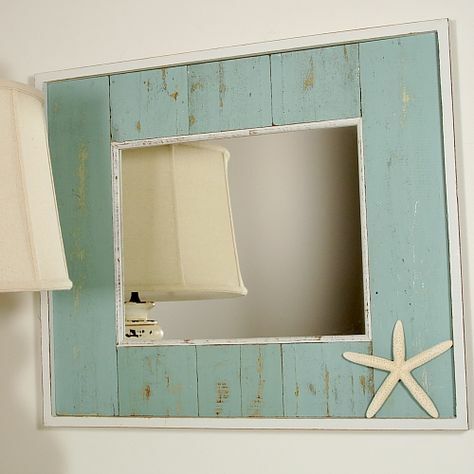 To start with we have this stunning and minimalistic starfish frame. I love the lightblue/green with it’s rust and wear to help remind you that not everything is perfect. Something which everyone needs to be reminded of when looking at themselves in the mirror. If you really wanted to, maybe you could add a few more starfish around the border to give it more of a sealife feel to it. I wish I had a better pic of this one because of how much I love it. 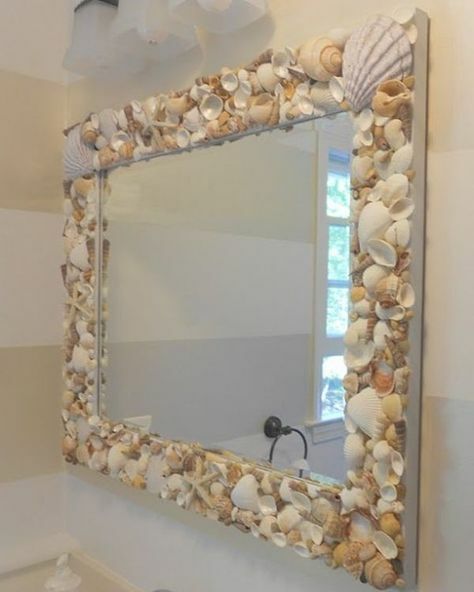 Everything about this mirror reminds me of the beach. From the driftwood you find lying around after high tide, to the stones and the pebbles you find scattered along the sand. Even better, the mirror itself is shaped like a wave, something which is going to help relax anybody looking into the reflective glass (unless that person is terrified of ways that is). Another very simple design. 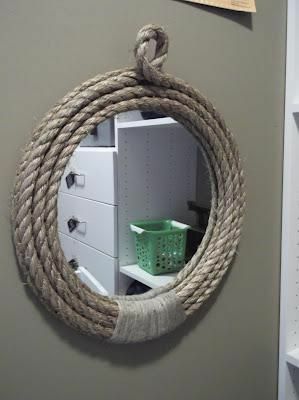 This rope mirror reminds me very much of a window on a big fishing ship. The colors are definitely going to work with a more neutral colored wall or even a white wall if you really wanted it to stand out. The perfect mirror if you don’t want to have to go all out on your design. Get a few shells together, drill a few holes and tie some string through them and you have yourself a great looking mirror on the cheap. For those of you are a little bit more ambitious maybe this mirror is going to be better for you. 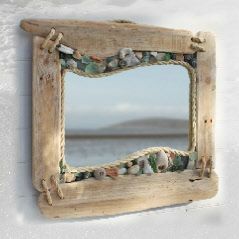 Really let your guests know they are in a beach lovers house by creating an entire frame out of shells. It not only looks great but is sure to relax whoever is checking them selves out in the mirror!